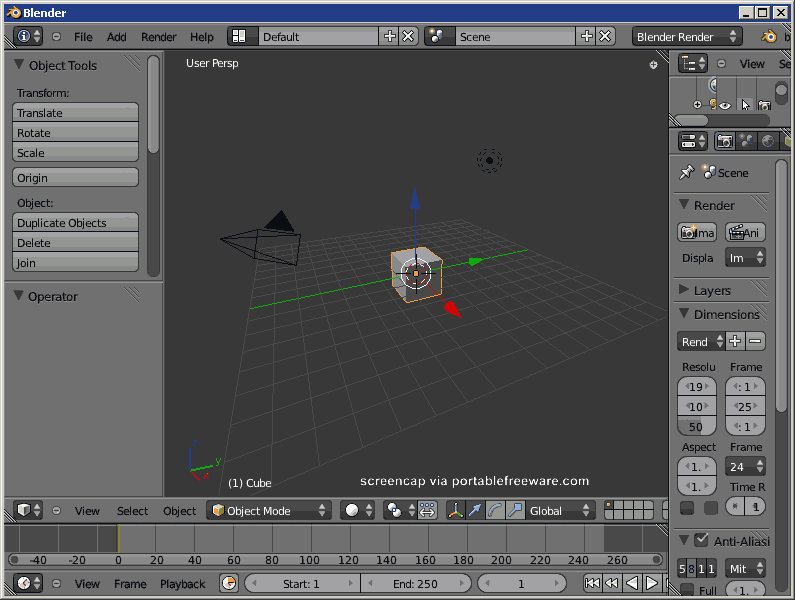 Blender is a powerful, integrated 3D creation software suite with character/solids modeling, animation, rendering, rigging, shading, motion tracking and post-processing tools. It lets users create high quality 3D graphics, movies and replay real-time, interactive 3D content. Its features can be extended with a variety of plug-ins, scripts, templates and more. Available for 64-bit and cross platform (Mac, Linux). The program has been used for a variety of functions including a variety of impressive short films. Added a note about films because I watched that Sintel short film created with Blender, which was in some areas even better than the work Pixar and Dreamworks are putting out commercially. 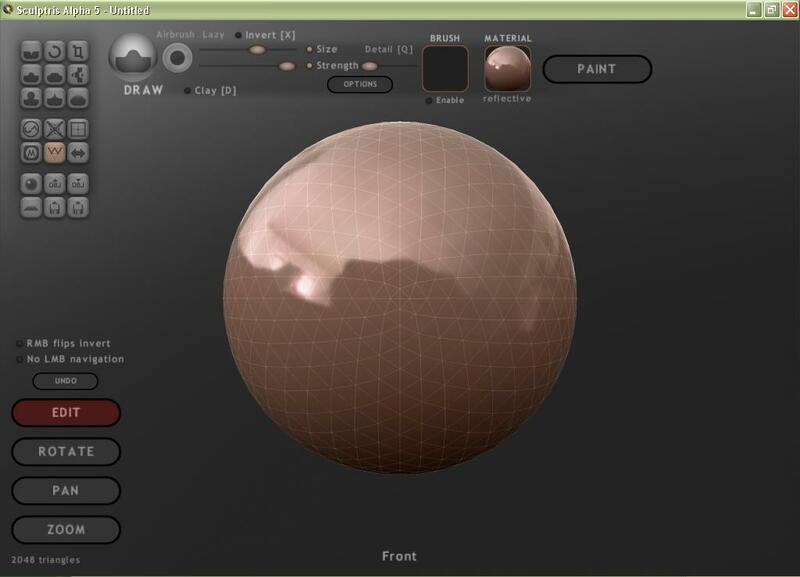 Sculptris is a 3D sculpting program similar to Z-Brush. It was produced by the developers of Z-Brush (Pixologic) and Thomas Pettersson. How to extract: Download the ZIP package and extract to a folder of your choice. Launch Sculptris.EXE. 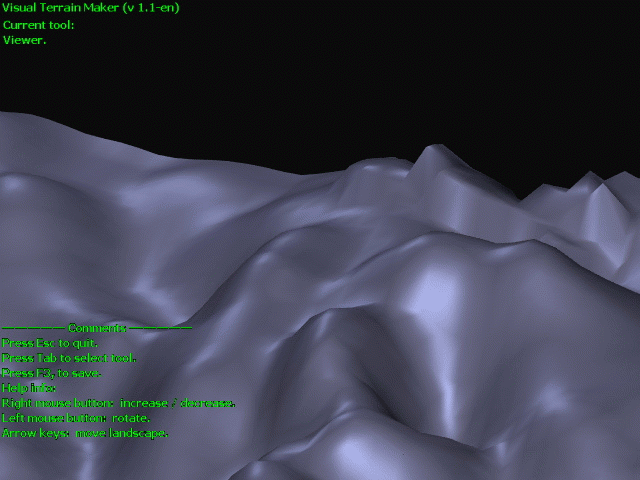 Visual Terrain Maker is a simple 3D-modeling program allows visually create landscapes (maps) for games or other purposes. The program can export to Direct X file format(*.x). The program is not critical to the video adapters and drivers. Suitable for DarkBasic developers. Note: The main site no longer lists the program, listing a Softpedia mirror. How to extract: Download the ZIP package and extract to a folder of your choice. Launch VTM.exe. Website seems to have changed.